— Boyko Borissov, prime minister of Bulgaria. — Timothy Harris, prime minister of Saint Kitts and Nevis. — Taban Deng Gai, first vice-president of South Sudan. 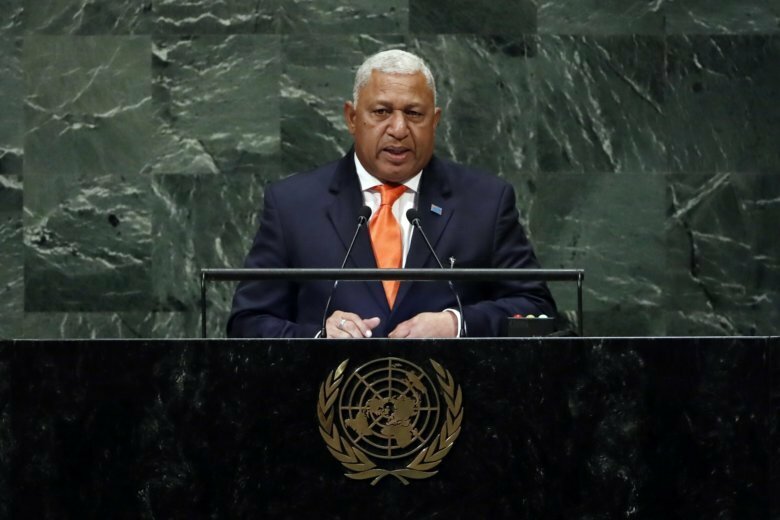 — Josaia Voreqe Bainimarama, prime minister of Fiji. — Alexis Tsipras, prime minister of Greece.